Power and energy represent vitality, optimism and activity. With the help of Esogetic Holistic Medicine you are able to discover unimagined or long forgotten resources. If we are for instance recuperating in a deep sleep state, then we are in balance. The reverse holds true as well. We are full of vigor, alertness and ideas. Often Esogetic Holistic Medicine is helpful to address questions like Insomnia – what to do? Power nap – how do you do that? and: Expanding performance potential – what forces can I mobilize in good conscience? 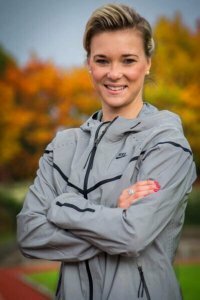 We are happy to welcome Christina Kiffe – heptathlon athlete – as a partner to discuss this interesting topic. Balance and individual harmony are the basic elements of health. But there are of course individuals with certain gifts and talents, who have to call upon an extraordinary performance at certain moments. For all people, who would like to fulfill similar challenges, we have the great fortune to accompany the German heptathlete Christina Kiffe as a partner. Find out more about the vita and the daily routine of this competitive athlete and student from Darmstadt. my name is Christina Kiffe. I am a student and heptathlete. At the moment I am enrolled in law school at the J.W.Goethe University Frankfurt/Main and in addition to my studies I am also pursuing competitive sports, heptathlon to be exact. It encompasses the disciplines of 200 m sprint, 800 m run, 100 m hurdle race, high jump, shot put, long jump and javelin throw. After the training I often return to the university, or the other way around. That is of course quite the balancing act. I am continuously asking myself “How do I progress in sports and my profession, how do I activate the highest possible potential physically and mentally, and how do I stay internally balanced and healthy at the same time?” In a loose sequence I am writing here about what moves me, what has moved me and what I would like to move me in the future. I would be pleased, if you have a look here, just as the fancy takes you, and if you can receive one or the other stimulus for your own ‘disciplines’. Have a good time and wishing you a good run always! A simple question keeps coming up for people, who are in the middle of life: Insomnia, what to do? Sleep is the most important regenerating force in our lives. It is as essentially necessary as food and drink. Body and brain recover, metabolic toxins are eliminated and emotional conflicts are put in order. One basic distinction exists: Natural sleep is based on tiredness, toxic sleep is based on exhaustion. New insights also distinguish between the amount of sleep and the sleep rhythms. Especially a changed rhythm can lead to the development of diseases. The lab values of for instance blood sugar, cholesterol and uric acid clearly prove that. Peter Mandel has developed methods to regulate the sleep rhythms, to promote the readiness for sleep, to stimulate dreams and even more to activate dreams around certain topics. Exactly defined areas on the skin play a central part in this. Peter Mandel has been able to discover and describe more than 150 dream zones on the skin. Among these are the so-called “basic zones” of sleep. Healthy sleep plays not only part in the management of the daily tasks, but it is also crucial for the personal identification of one’s life-path. Peter Mandel takes it as a given that the instructions of the soul find their way into the daytime consciousness only, when the sleep is healthy. Your grandparents already knew: A good nap can heighten your concentration by 100 percent. The only thing different is that siesta, catnap and snooze are called power napping nowadays. For this purpose Peter Mandel has developed a 15 minute program, which can release external stress. Depending on the type of stress the appropriate induction program is applied to defined zones on your skin. The patented Synapsis home device does not bring foreign waves into your consciousness; it only activates your own. These “forgotten” harmonious patterns are supported by a second source, the Synapsis home device. It is easy to use and completely individual. 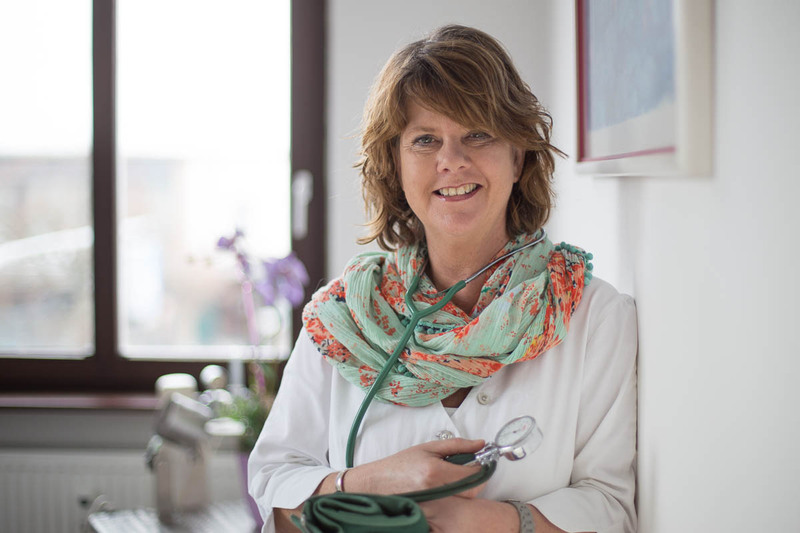 Christina Kiffe – My First Contact with Esogetic medicine? Pure Coincidence?